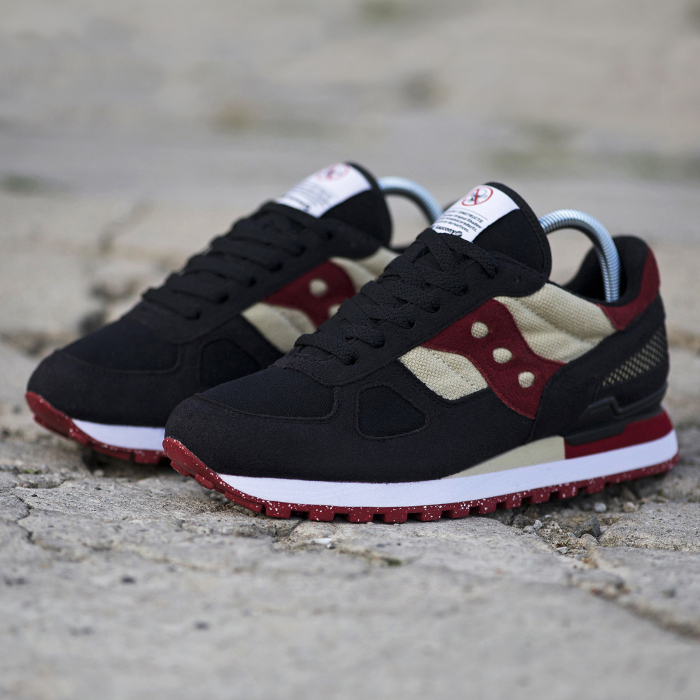 Fresh from the opening of Saucony’s Story of Running store with three collaboration drops, we can exclusively reveal that the next limited edition model to release in UK will be the Bait ‘Cruel World 2′ Shadow Original. Following nicely from the ‘Cruel World’ Shadow Original that released here just yesterday, the Cruel World 2 takes the same cruelty-free approach in creating another entirely Vegan shoe in a new colourway. The hemp and canvas upper is a combination of black and off-white panels with deep red vegan-suede accents on the side-branding and heel. 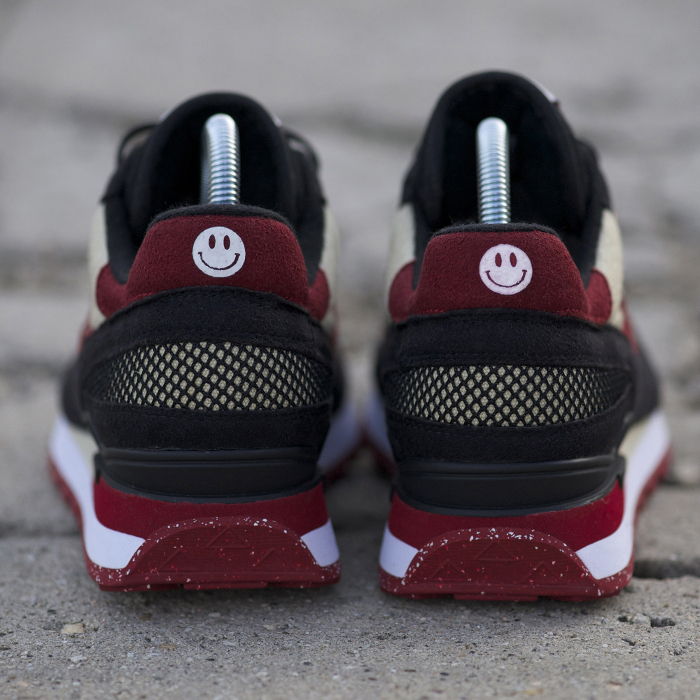 Both the tongue label and cork insole proudly mark the shoe as containing “no animal products, by-products or derivatives” while a smiley face stamped on each heel signifies the positive message that the model carries. 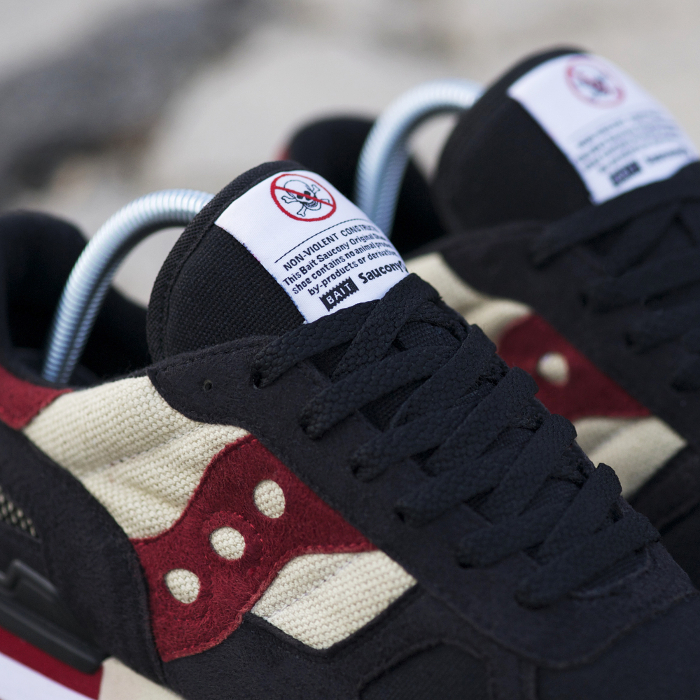 The production looks near-perfect, the shape is beautiful and that speckled outsoles seals the deal nicely. 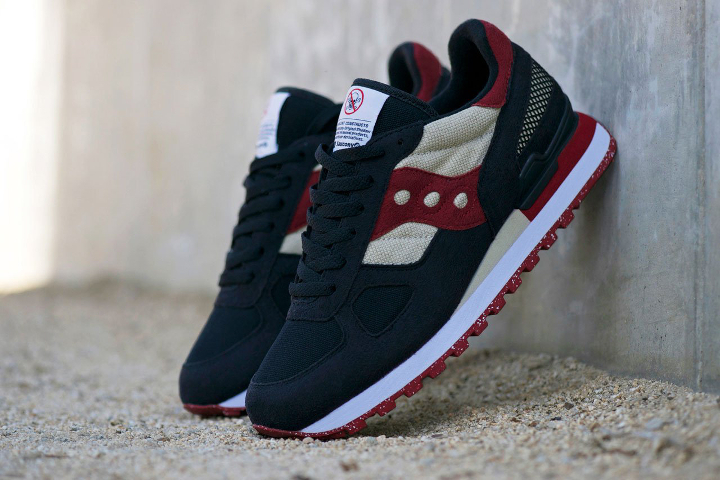 This is not the first time Saucony have worked with Californian retailer BAIT, but this is certainly one of the best results. With this release, BAIT will support the American Cancer Society with proceeds from all sales going to help cancer treatment and research – a great package all round. 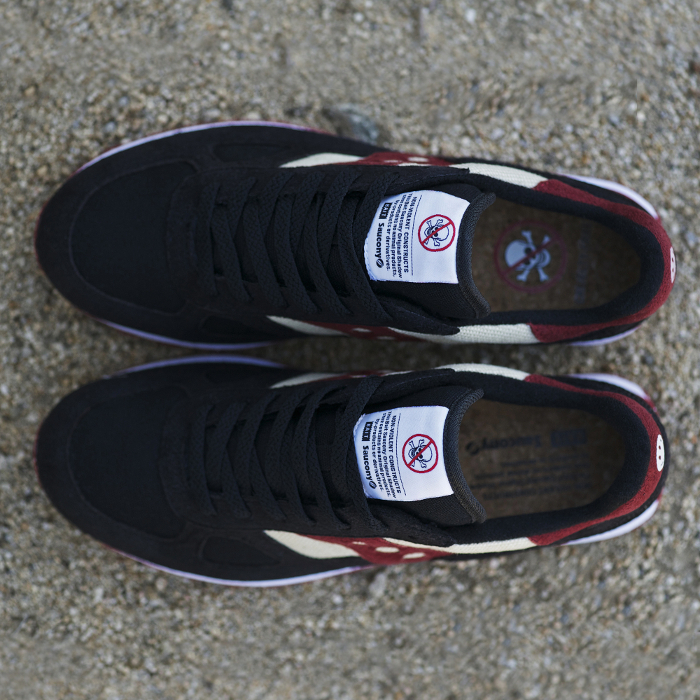 The BAIT x Saucony Shadow Original ‘Cruel World 2′ will go on sale in the UK this Thursday March 27th from 6pm at the Saucony Story of Running store. 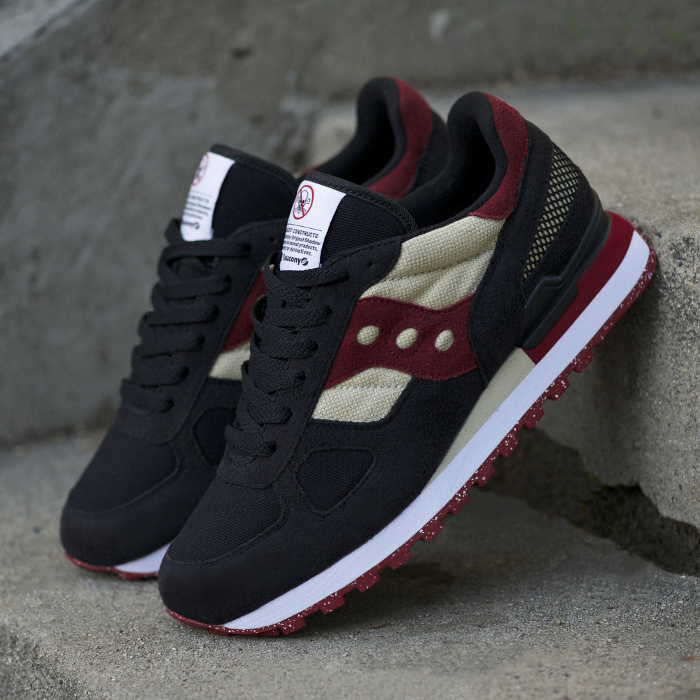 Check them out in detail below and look out for news on some other special releases to follow. where can i sell it ?